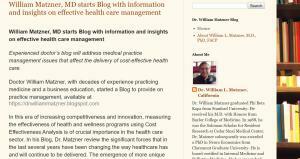 Experienced doctor’s blog will address medical practice management issues that affect the delivery of cost-effective health care. In this era of increasing competitiveness and innovation, measuring the effectiveness of health and wellness programs using Cost Effectiveness Analysis is of crucial importance in the health care sector. In his Blog, Dr. Matzner reviews the significant forces that in the last several years have been changing the way healthcare has and will continue to be delivered. The emergence of more unique ways to deliver care such as clinics incorporated into businesses and factories, the increased use of mid-level providers (nurse practitioners & physician assistants), the increase integration of technologies such as telemedicine and robotics and the shift from interventional reimbursement to outcomes reimbursement are just a few examples. This has led to changes in how businesses intend to interface with the healthcare system going forward. CVS's acquisition of Aetna will try to leverage healthcare delivery through their pharmacy structure. United Healthcare's acquisition of DaVita hopes to leverage cost containment and resource control by directly controlling physicians. And the recently announced collaboration among Berkshire Hathaway, Amazon and J.P. Morgan Chase presents a yet unknown structure whose stated goals is improved quality and less cost. How they will implement their strategy is yet to emerge. The big question then with these new ventures are how do organizations know what works financially and how do they track performance. In other words, how does one you track, measure and value the relationships between cost and outcomes? How can the analyst measure which methods(s) may generate better or best outcomes? While there are no perfect answers, William Matzner will offer his experience and insight on his blog. For example: A simple return on investment, ROI, calculation will not provide needed nor valid insights. However, the use of cost-effectiveness analysis (CEA) would provide quite useful, valid and actionable information. CEA uses decision tree models to compare not only cost outcomes but effectiveness outcomes of various treatments on patient health and even on future healthcare usage based on various current actions. It can further be used to determine how effective a set amount of money spent on a particular treatment or method will impact outcomes (i.e. willingness to pay calculation). CEA models are flexible and can incorporate a wide variety of scenarios. As opposed to Big Data, CEA makes use of Broad Data so that comparisons of treatment modalities can be evaluated using real life outcomes. It can compare effects on a discrete problem such as a cancer tumor, or on chronic ongoing diseases such as COPD or CHF. Dr. Matzner explains that, as the delivery of effective yet profitable, or at least cost effective, healthcare becomes more challenging, methods for evaluating treatments and programs become more necessary if not essential. Methods must be implemented to evaluate these new treatments and programs once they are in place so adjustments can be made. CEA enable organizations to both initially evaluate and subsequently monitor new methods and programs in a meaningful way. 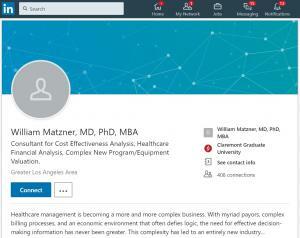 William Lee Matzner works in the area of healthcare economics consulting at Healthcare Analytics, LLC, in California. He graduated Phi Beta Kappa from Stanford University. He received his M.D. with Honors from Baylor College of Medicine. In 1988, he was the Solomon Scholar for Resident Research at Cedar Sinai Medical Center. 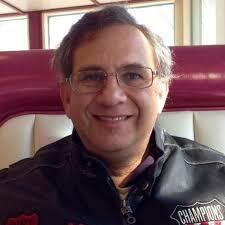 Dr. Matzner subsequently was awarded a PhD in Neuro Economics from Claremont Graduate University. He is board certified in Internal Medicine and Palliative Medicine. He has researched and published extensively on the issue of reproduction and immunology in medical literature. He has been in private practice since 1989, specializing in Reproductive Immunology and Internal medicine. Dr. Oz Explains the Healthcare System - With Donald Trump now President, many Republicans in Congress are seeking to repeal the Affordable Care Act.